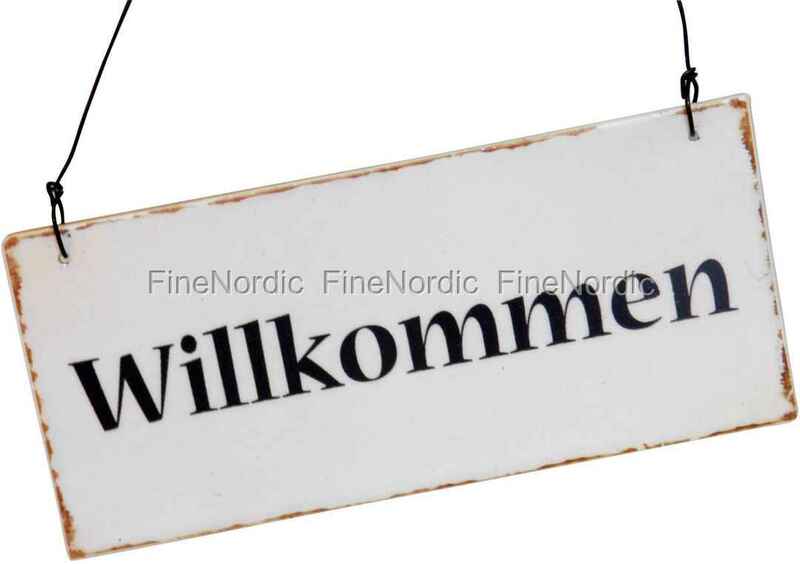 Welcome, (Willkommen) dear guests! And so that you don’t have to say that each time the doorbell rings, just hang up the sign by the entrance. That way everyone feels welcome! The metal sign by Ib Laursen is a wonderful welcome greeting in your own home or can be used as a gift for a loved one! The sign is 7 x 15 cm tall and is easy to hang by its metal wire!